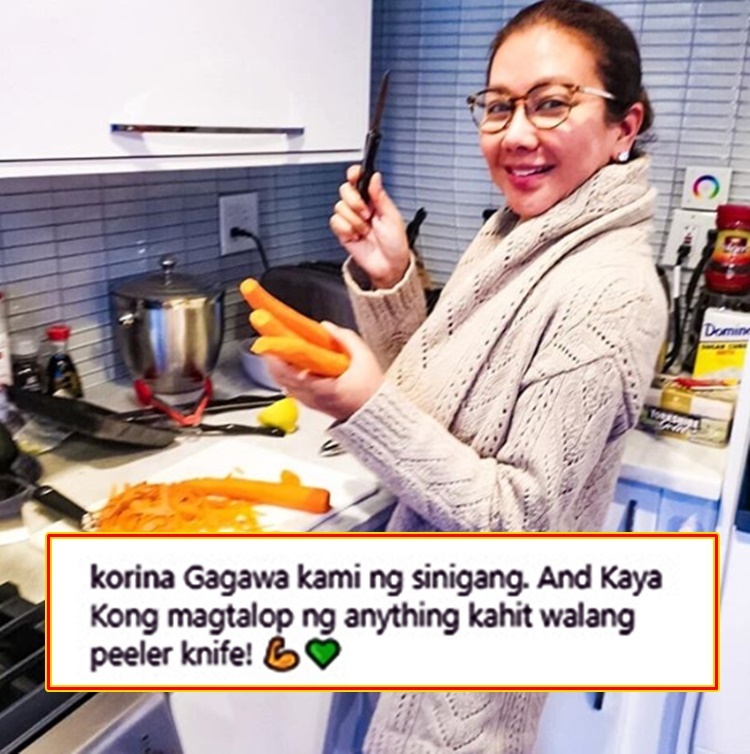 Rated K host Korina Sanchez shared a post on her Instagram account saying that she had “sinigang” with carrots and this elicited various reactions from netizens. “Sinigang” is a popular Filipino dish which is classified as a stew or soup with a sour and savory taste. Usually, this dish, and as what many Filipinos know, has vegetables such as string beans, eggplant, swamp cabbage, and okra. On the other hand, Pinoys also learned how to add other vegetables that suit their tastes but when Korina Sanchez shared she had “sinigang” with carrots, this caught the attention of netizens. Apparently, many thought that it is unusual to add carrots in the Filipino dish. Some netizens said that the TV host does not know how to cook and laugh about it. However, there are netizens who defended her as they cited recipes of “sinigang” with carrots. The famous Facebook Page of “Senyora” shared this photo of Korina. Some netizens, checked the IG account of Korina Sanchez if the post of Senyora was “legit”. Here are some of the comments to the IG post of Korina Sanchez. There were several netizens who used the hashtag “KMJS” or Kapuso Mo Jessica Soho, the rival show of Korina’s show, as their comment. What can you say about the post of Korina Sanchez?